There is a relaxed, raw industrial style at the new BrewDog bar in Berlin's Mitte district. A variety of skinflint lights hang throughout, including 1950s blue explosion proof pendants by Victor, which were originally used in extreme environments in the mining industry. 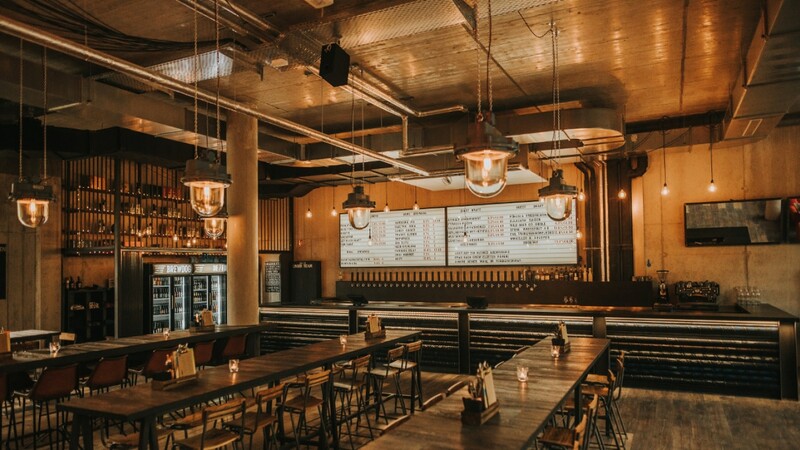 The finishes of all the lights compliment the industrial interior, oxide prismatic pendants from the Eastern Bloc provide subtle mood lighting above the tables, whilst industrial black enamel Czech pendants give a more ambient light and provide a focal point to the bar seating area.